(Jakarta, June 2015) What happen when we are haunted by an environmental mistake, we are almost too late to realize, that we made one? Mathankumaran Madawan, a Singaporean director and producer, despite of his status as a newcomer, has successfully tells this uncommon mysterious thriller outstandingly and wins the International Film Festival for Environment, Health, and Culture (IFFEHC) festival year 2015. The International Film Festival for Environment, Health, and Culture is established to support and promote filmmakers all over the world. By lifting the film industry, they aim to participate in a cleaner and better environment, raise the quality of life, and intercultural dialogues which will lead to a better acceptance and deeper understanding of people and diversity in life. The International Film Festivals Group main vision is to help the United Nations promoting its international days relating to humanity and to make a better world. By conducting the festival, IFFEHC are participating in the global community events celebrating the World Health Day (7 April), World Lupus Day (10 May), World Cultural Day (21 May), and World Environment Day (5 June). IFFEHC festival is held by Dewan Kreatif Rakyat (DKR/the Indonesian Council of Creative People) works together with the Indonesian Ministry of Youth and Sports. 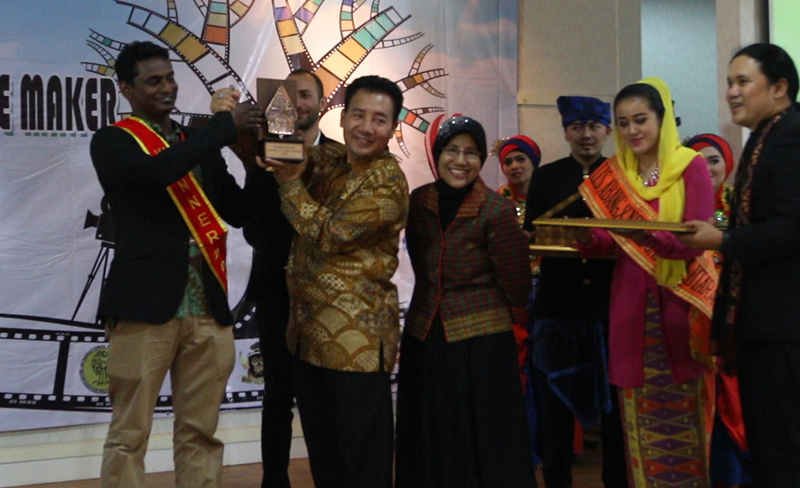 The Awards Day that was conducted on the 9th June 2015 in Jakarta was glamorously conducted in the grand Auditorium of the Ministry of Youth and Sports and inaugurated by the Indonesian Minister of Youth and Sports himself as part of his mission to educate the young, local filmmakers from all over Indonesia.